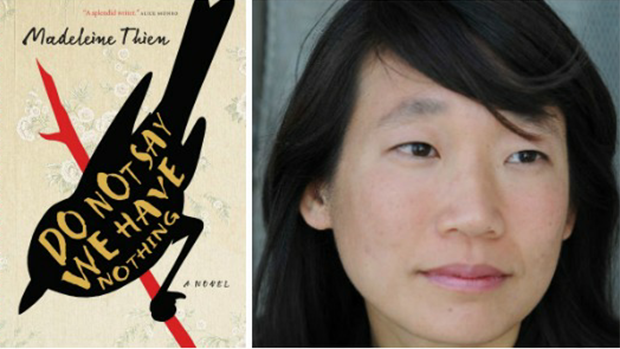 Asian Canadian Writers' Workshop (ACWW): Madeleine Thien’s Do Not Say We Have Nothing wins the GG for Fiction. Madeleine Thien’s Do Not Say We Have Nothing wins the GG for Fiction. Madeleine Thien began her literary career in 1996 as an editor of Ricepaper Magazine, a publication of the Asian Canadian Writers’ Workshop. She went on to win the ACWW Emerging Writer Award based on the manuscript for her short story collection Simple Recipes in 1998. The ACWW offered her manuscript to publishers and had bidding offers from four different interested publishers. Madeleine finally decided to go with McClelland and Stewart who offered her a two book deal. Simple Recipes was published by M & S in 2002 which won the BC Book Prize for Fiction in the same year. The story, “Simple Recipes” itself, which later became the title for her manuscript and her award-winning debut collection was first published in the Journey Prize Anthology: The Best Short Fiction From Canada’s Literary Journals (Toronto: M&S, 1998). It was shortlisted for the 10th annual awarding of The Journey Prize. The uniqueness of the ACWW Emerging Writer Award is a community-building initiative in the Asian Canadian writing community to help develop manuscripts and that it offered the award to a winning manuscript and is the only award of its kind in North America to do so.